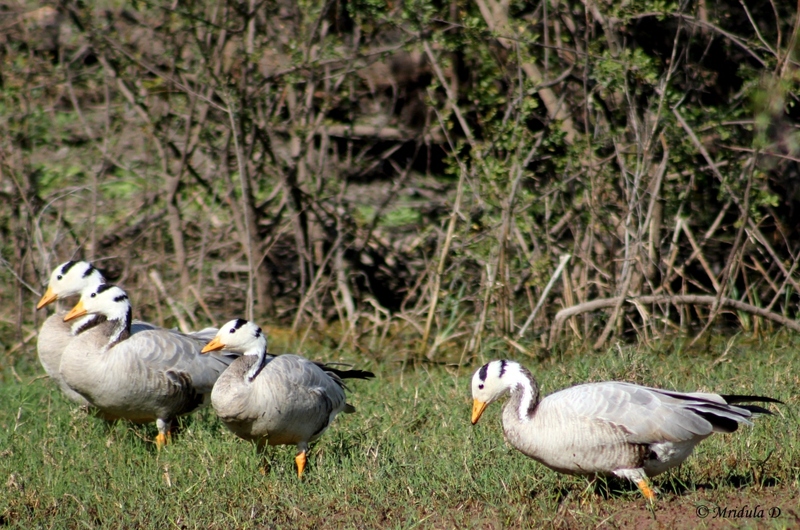 My guide at Bharatpur said in an excited voice to me “dekho [look] war headed geese.” At least that is what it sounded like to me. And I was quite confused as to why are they called war headed, I thought may be they are too quarrelsome. That flock was quite far away to make for a decent picture with my lens. We then met this flock and he said again, they are called ‘war’ headed kyon ki sir per ‘war’ hai. And then it occurred to me that he was saying bar headed geese. But I have to say hats off to WWF (World Wildlife Fund) which trained the rickshaw pullers as guides and some of them like mine are so knowledgeable.